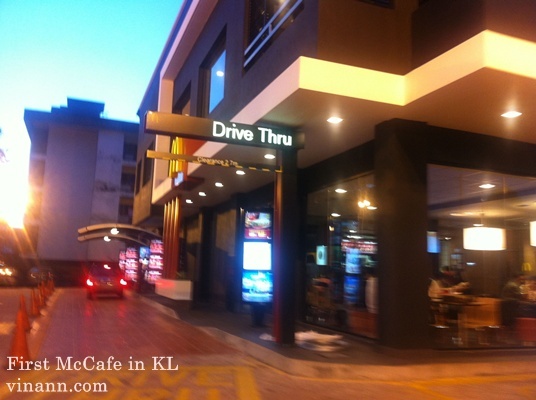 McDonald's McCafe at Jalan Pahang completed it's major renovation not long ago, can refer back to my previous blog not long ago, so today i tried the newly renovated McDonald's Drive Thru. 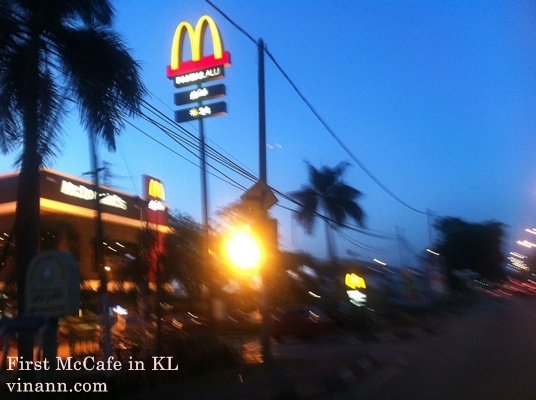 The big McD sign. 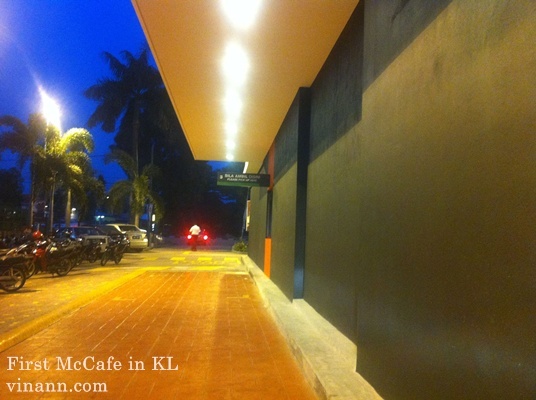 To be honest, the sign is being blocked by trees in front of petrol station. You wont be able to see the "M" sign when you coming from far. You only can see the "M" sign when passing the trees. 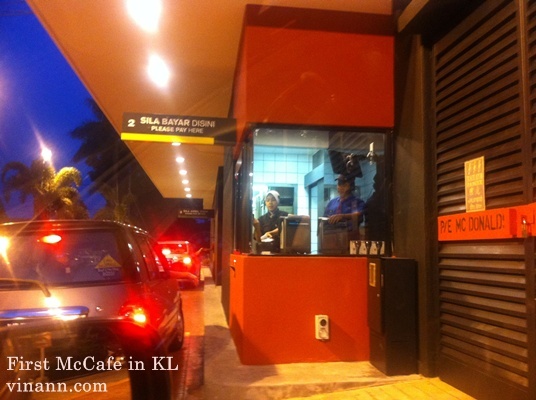 I noticed there's 2 kiosks for taking orders ! 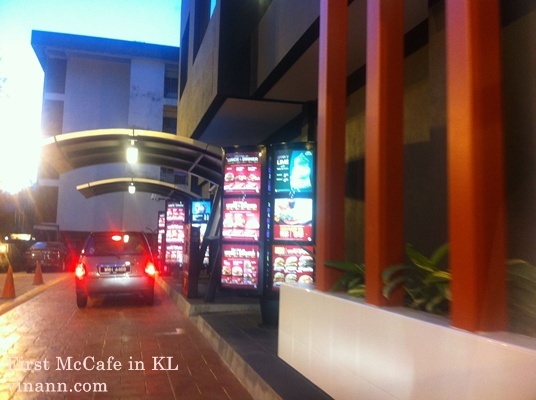 will this fasten the process and reduce the Q of cars coming for drive thru, thus reducing traffic jam at Jln Pahang? Hope its really work! The first kiosk in front while i'm at second kiosk. 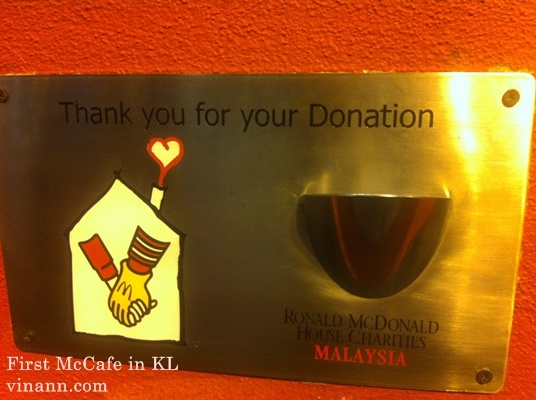 Payment counter. For today's experience, i'm almost waited for 5 minutes to reach at payment counter after i ordered my meal at the order kiosk. 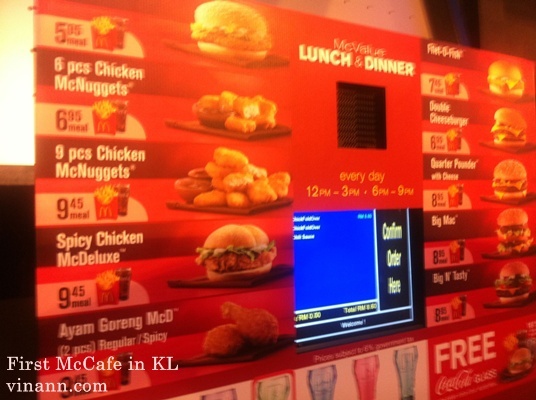 I guess, the staff is still experiment the new system where there's 2 order kiosks, and only 1 payment counter. She might be mixed up the orders. It's confirmed my guessing when the staff mentioned wrong orders. She told me my order was 2 McChicken meals but i'm only ordered 1 McChicken meal (sad, already foreveralone, eating alone, yet she mentions i ordering 2 McChickens). 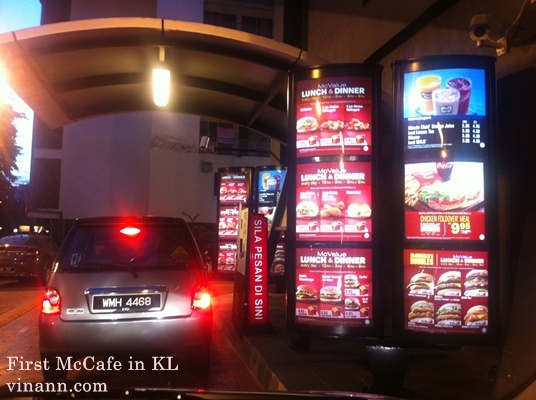 After i corrected her, she re-enter order or cancel extra McChicken. Guess that's why it's taking sometime to reach me. Black and simple for collection counter. 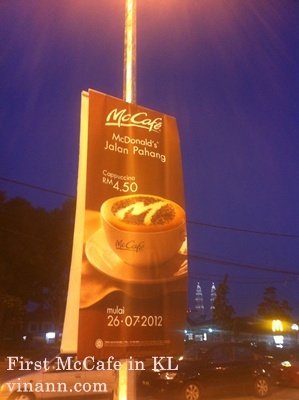 Anyway, you can be the 1st to enjoy McCafe coffee today from 7am onward ! KVMRT is dark green line.